After a season of being closed, the Cobleskill Village Community Pool has reopened. A new pump/filter building and liner have been completed. Also, pool-goers will enjoy a new Vortex Water Slide donated by Linda and Floyd Holmes II. 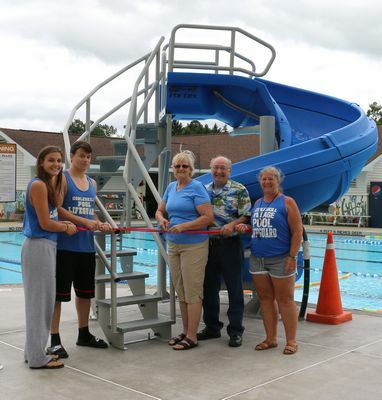 The turbo slide was purchased in the name of their children Kirsten Holmes Farr, Erika Holmes Weidman and Erik Floyd Holmes who "grew up" on the pool deck and were avid swim team members, and in memory of their grandson Adam Minms who also loved his time spent at the Village of Cobleskill's community pool. The family remembers the slide that was originally at the pool and how much the children loved it. With the upgrades made at the pool this year, they felt it was a great time to add a new slide. The Village Pool is open Monday, Wednesday and Friday 1-6pm; Tuesday and Thursday, 1-5pm; Saturday and Sunday, 1-5pm; Tuesday and Thursday evening swim, 6-8pm. Swim Team will run from July 5-August 6. Anyone may be on the swim team. A $15 registration fee will be charged. Swimming lessons of all ages and level are offered. 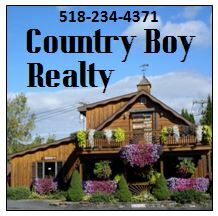 Contact Pool Manager Julie Mullaney for more information, 231-1255. Season passes may be purchased at the pool.